Hello! 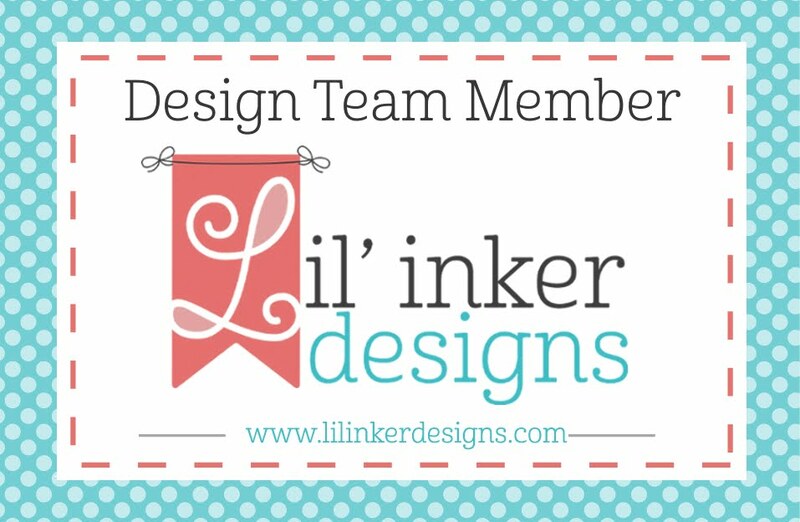 The day is finally here to start sharing projects with the BRAND NEW July release at Lil' Inker Designs! While this is a smaller release than some others, it is packed with lots of cuteness!!!! You can find the entire new release HERE! 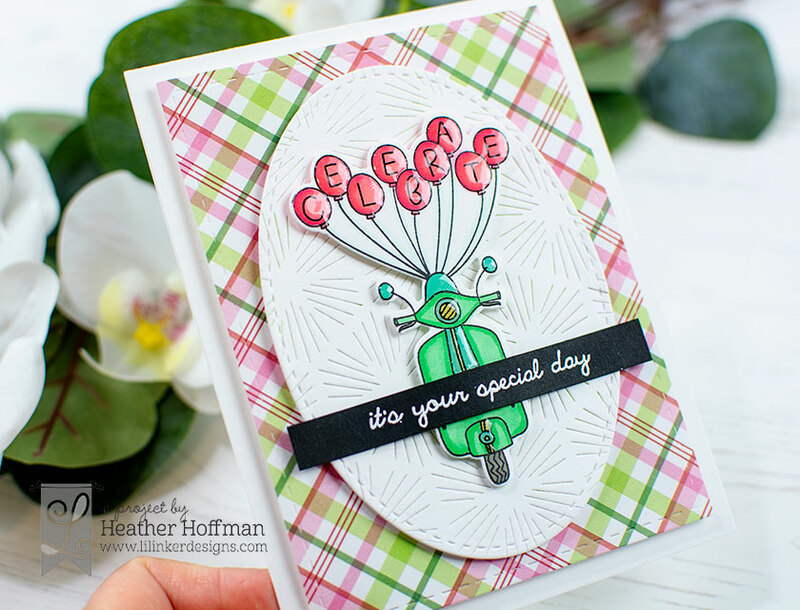 Today I have this bright and cheery little card using the brand new ADORABLE Scooter Balloons Stamp Set, along with a couple other new items!!! This is such a cute and fun set! 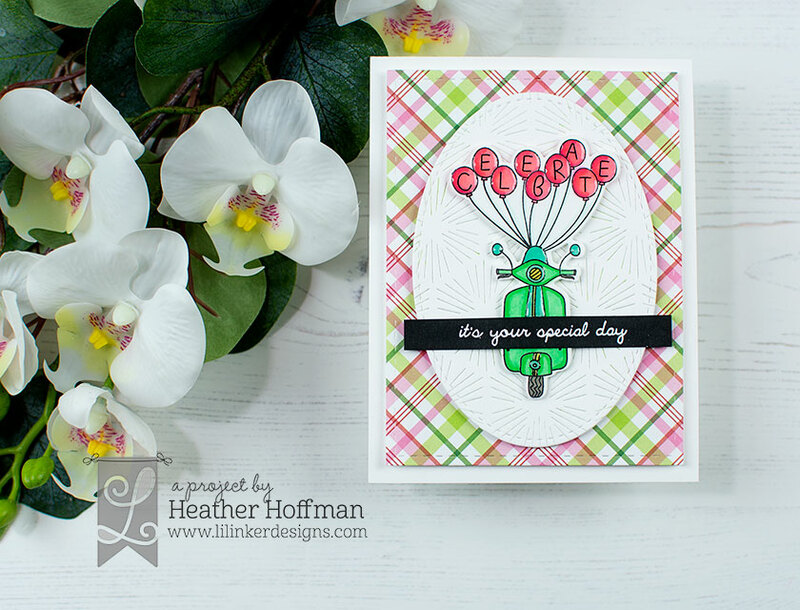 The Coordinating Dies work together as one piece, then you can add whichever set of balloons you wish! I love the fun whimsical feel to this set! I colored it up with Copics, then added a good coat of Glossy Accents on the balloons and parts of the scooter, and heat embossed a sentiment from the set on a strip of black cardstock. 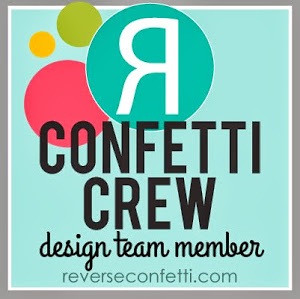 The background oval features the new Quilted Stitched So Stylish Die - another one in my favorite line of cover dies that die cuts a pattern in solid cardstock - LOVE!!! I die cut it with Stitched Mats: Ovals, and mounted on a panel of plaid paper die cut with Silly Stitched Dies. Green is my favorite color...this is perfect-o! Oh! It's so funny! Love the scooter!!! What a great card. I'm loving the background stamp. Thanks for sharing your creativity. Love the colors you used! Awesome card! Lovin the scooters. OOOO!!! I really really love this Heather! The scooter in the oval is perfect and I love the layout of the sentiment over the fender of the scooter too!! Great work! Thank you so much! Beautiful and simple! I love your coloring and the glossy balloons! OMG That scooter! We had a cute red one when I was a kid! Fantastic card! I absolutely LOVE this scooter set!!! So super fun! So cute. Love the shiny balloons and the plaid background. What a cute card! I have a friend who just got a scooter - wouldn't she just love this card? Just love that So Stylish Die - so versatile! Beautiful card I especially like the background of the oval!!! Perfectly sweet card! Love this new release! Super happy and sweet card! Love the patterned paper background it so beautifully compliments your sweet scooter. So cute, love how you used the new scooter stamps. The scooter stamp set is so unique. Love your card. I can never have too many birthday stamp sets. I send birthday cards the most. Love your cheery card. Love this scooter stamp. This made such a cute card. Darling card! Love the pretty layering and that adorable scooter! I really like how you used the negative from day 2 for the background. Great card. Love the new stamp set. So cute. This is a pretty card. I love the plaid background! The little scooter is darling. The plaid background is so cute with the green scooter! I am soooo loving the AWESOME plaid paper in the background! And I love the green color for the scooter plus the balloons being colored in red with the glossy finish very cool looking!! That’s such a lovely card !! 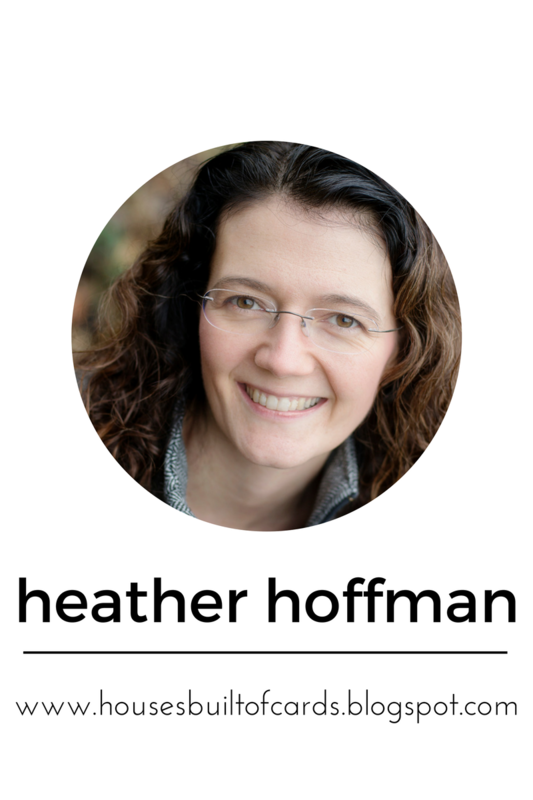 I love the various shapes and patterns you used. Great job !! Wow! Really gorgeous card! 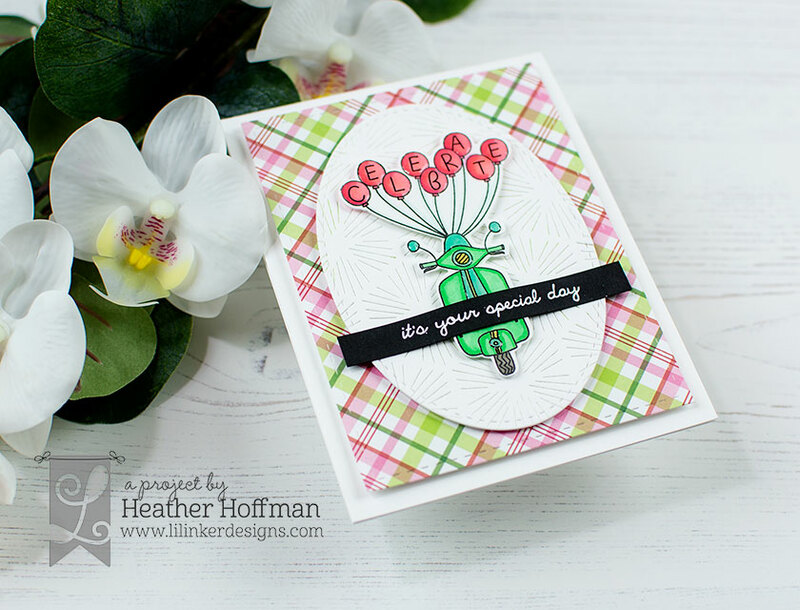 Love the pretty plaid background and the textured oval. And the scooter set is just too cute!